Vans Warped Tour at Darien Lake | Ooh Something Shiny! on ska. I didn’t count, but there were supposed to be 70 bands on 16 stages. It was really hot, but there was s decent breeze which kept it from being miserable. There were water refilling stations around and the musicians kept reminding people to hydrate. I grabbed a beer when I first got there but could never get through the lines to get back to the concessions again. I doubt that anyone managed to get drunk there because A- it was near impossible to get to the concessions and B- Probably 70% of the audience was underage. There was also a mind-boggling amount of ink. Apparently there are a lot of people of there who are a lot more comfortable with commitment than I am. 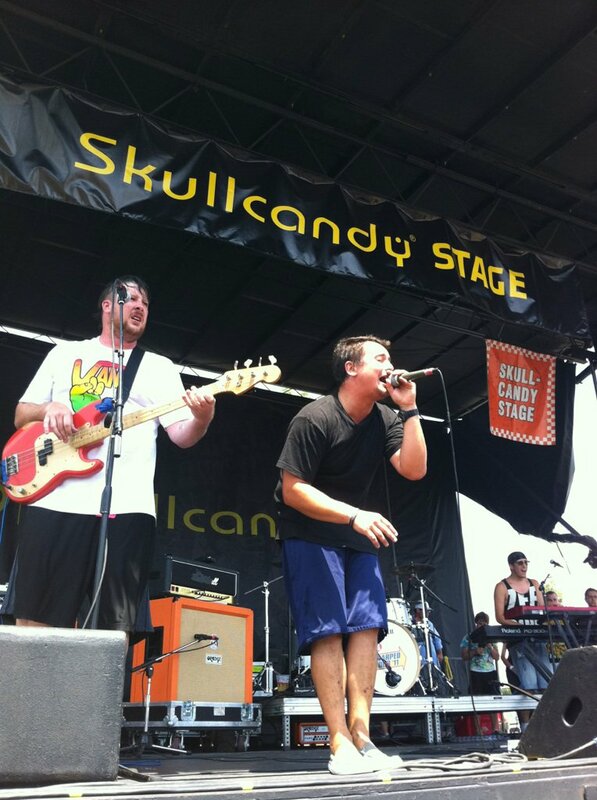 We saw ill Scarlett, my absolute favorite band. They played some new songs as well as old standards like my favorite – Nothing Special. I picked up their 20 Tracks for 5 Bucks That’s Ill CD. 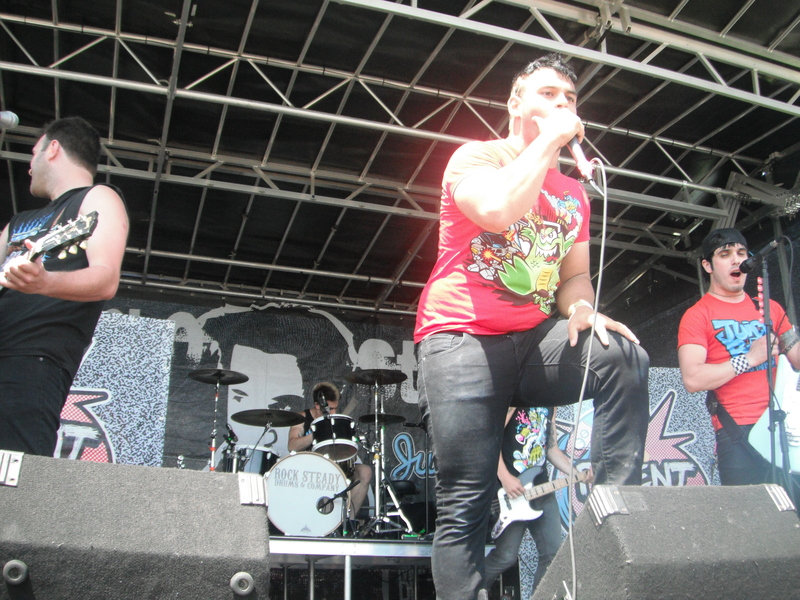 Patent Pending’s lead singer, Joe Ragosta is crazy. He jumped off the stage put his microphone in my concert buddy’s face, made him sing and pushed him in the chest. He jumped off the stage again later, started running in a big circle around the field and made everyone follow him. So fun. I would definitely see them again. The played their classic Cheer Up Emo Kid and some songs from their new CD Second Family which was released that day. 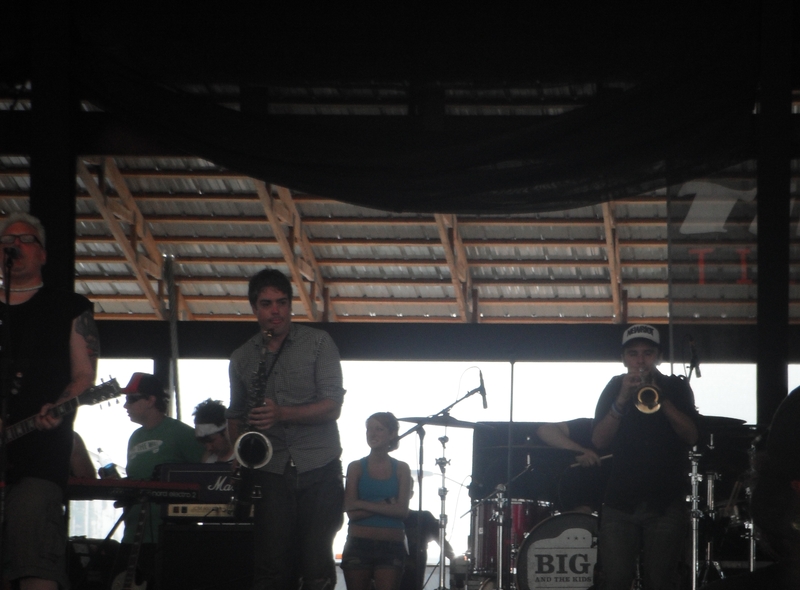 We saw Big D and the Kids Table – the only true ska band we got to see — also awesome. 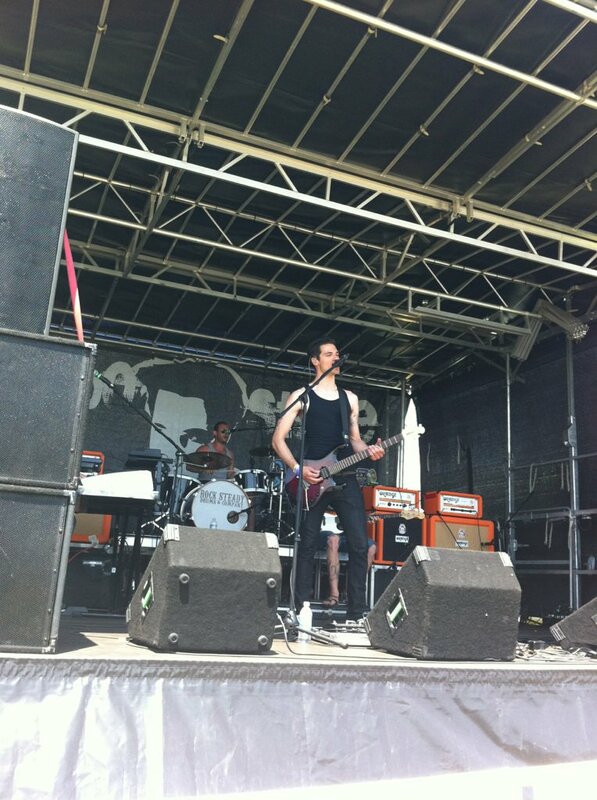 They were on the main stage under the tent where it was approximately one million degrees . We wrapped up our day with The Aggrolites. I was terribly sunburned because while I put on plenty of sunscreen, I kept pouring water down my back because it was so hot and it washed off (duh). I have missed Warped Tour the last couple of years and it’s really the highlight of my summer, so I was glad to be back. One of my favorite things about going to concerts is discovering new band. This time around I found a band I had never heard of called Testing for Echo who did an awesome cover of Muse Uprising as well as their own original music. We were right on the rail for every band except Big D, which is how I got these really great pictures.